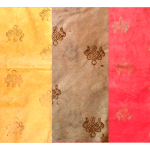 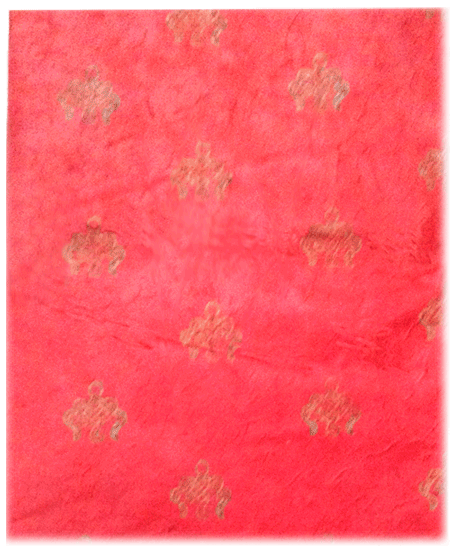 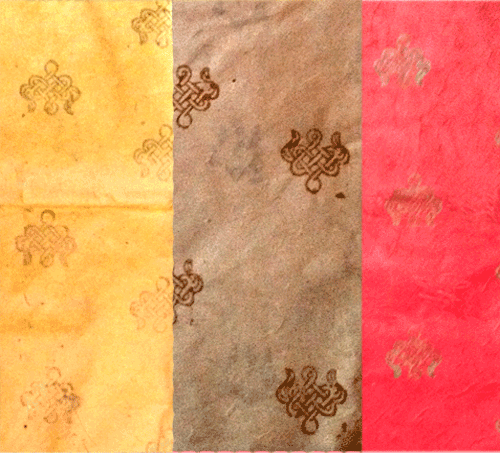 Wrapping paper,with Auspicious symbols, gold painted on 3 different colors Red, Cream and Yellow. 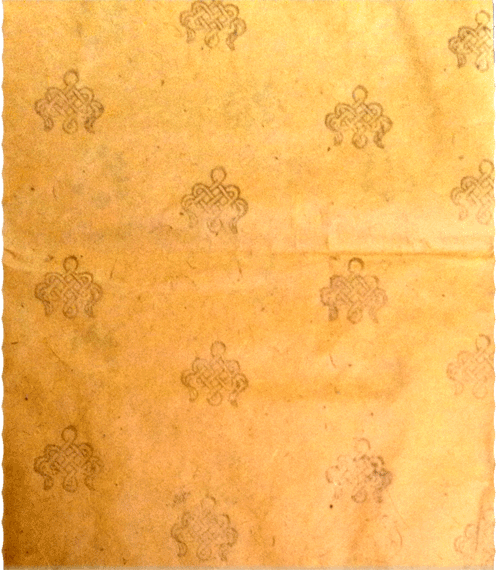 The handmade paper in this product is made from the bark of the Danphne Papyracea which grows in the mountains of Nepal. 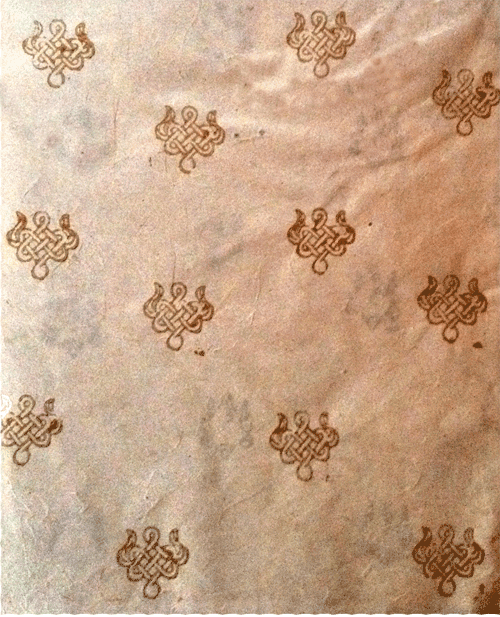 This paper is known as Lokta paper.